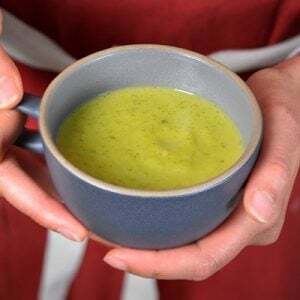 2 tablespoons ghee, butter, coconut oil, avocado oil, etc. 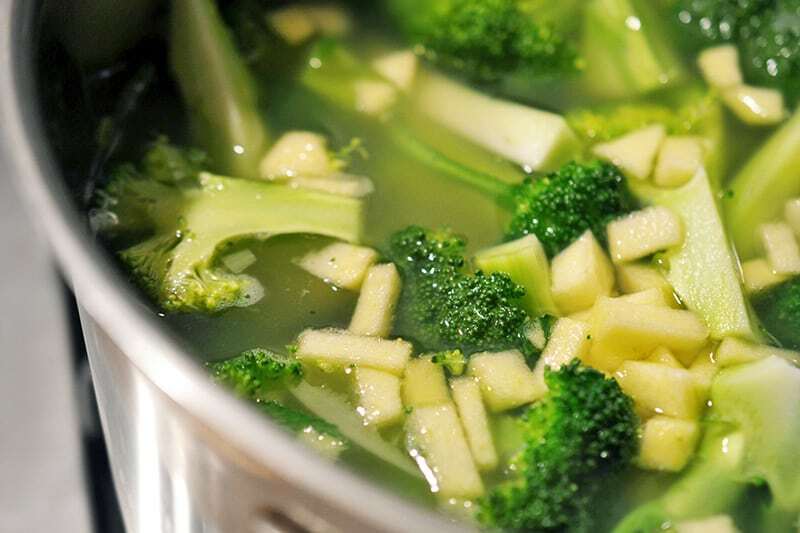 Melt the ghee or fat of choice over medium heat in a large soup pot. 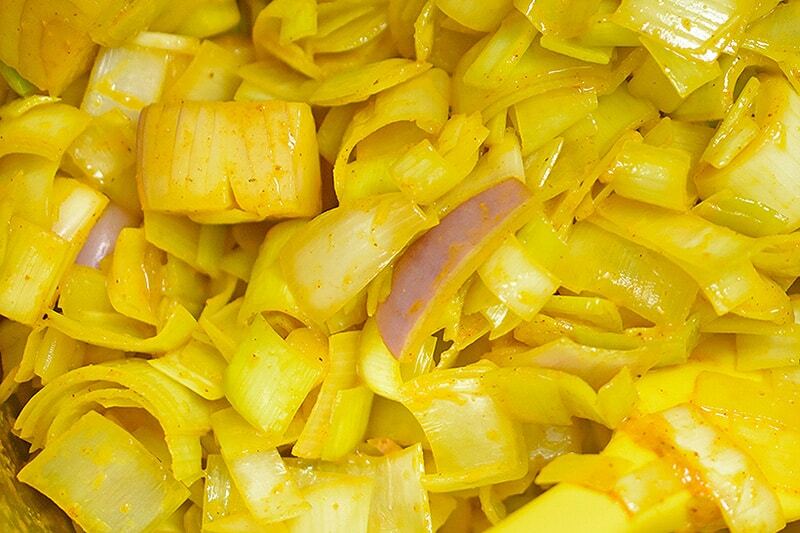 Add the leeks, onions, shallots, and curry powder, and sauté until softened. 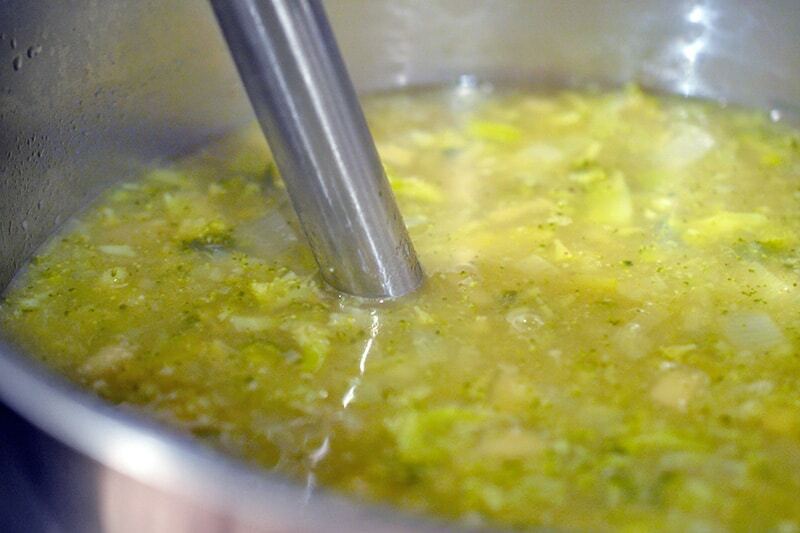 When in doubt, toss in lots of alliums – your soup will taste that much better. Turn the heat up to high to bring the soup to a boil, and then lower to a simmer until the vegetables are soft (~20 minutes). Once the vegetables are soft, season with salt and pepper to taste. 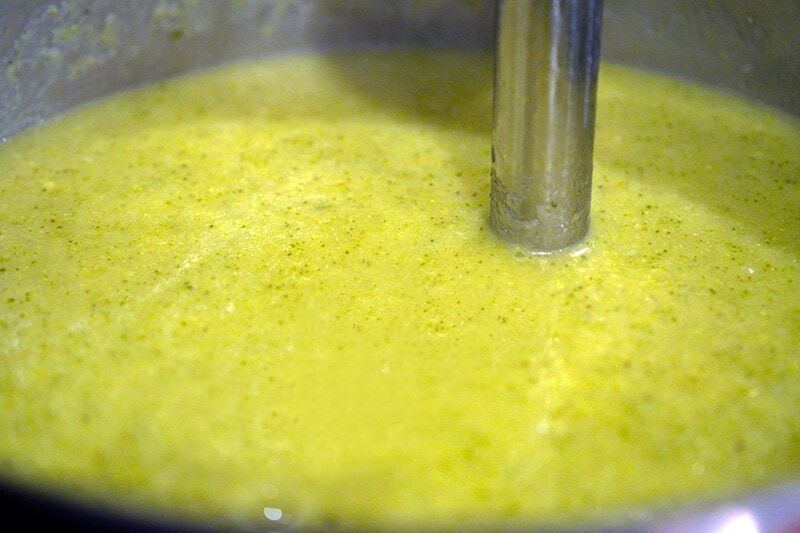 Remove the pot from the heat and use an immersion blender to blend the soup until smooth. Place the pot back on medium heat and stir in cup of coconut milk until uniform and warmed through. You can also add some leftover cooked protein to make it complete meal! 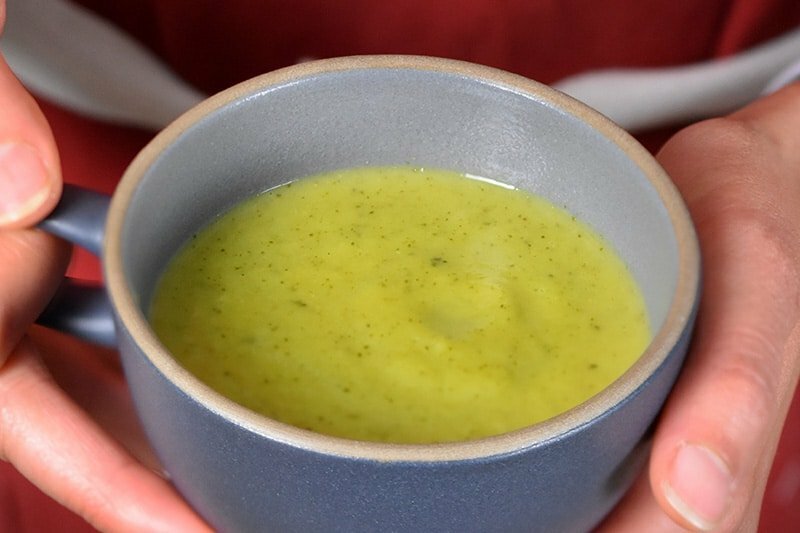 Looking for the Instant Pot version of this soup? Go here! This soup is a perfect example of what I call garbage soup. I find whatever is about to rot in my fridge and turn it into a delicious, Whole30 supper! Trust me, it tastes way better than it sounds. 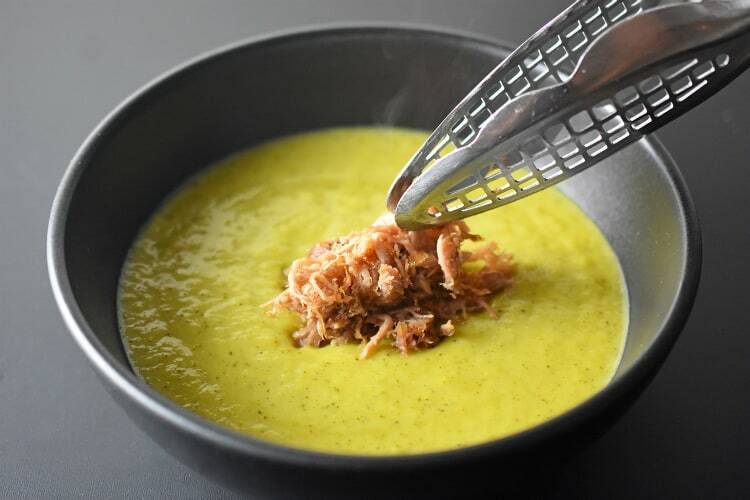 I have a quick and easy Instant Pot/pressure cooker version of this recipe here. You can add leftover cooked meat to make this a complete meal!